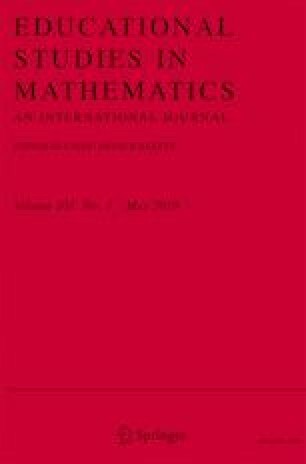 The question of teaching a standard written algorithm for the four arithmetical operations in the first years of elementary school is increasingly raised as a consequence of the possibility of using calculators, tablets, and computers. This article first presents arguments both against and for maintaining this teaching in the first school years. Then, it presents an analysis of the procedure—whether it implies the standard algorithm or not—used by second grade students to solve a subtraction verbal problem. The 4720 students involved in the research were divided in a control group (n = 2101) and an experimental group (n = 2619) in which the standard written algorithm (SWA) was taught, or not taught, respectively. The effectiveness of algorithm use was analyzed not only in terms of accuracy of the answers, but also for its influence on the choice of the correct arithmetical operation and for its choice by the students as a function of their ability. The SWA was strongly associated with the use of the false arithmetical operation (effect size ϕ = 0.79)—addition instead of subtraction—but was chosen by students of all levels of ability. The latter result suggests that the SWA is well suited for the most advanced students but far less for the others who use it mechanically and without reflection. We would like to thank all the children and teachers who took part in the experiment. We are also grateful to the experimenters, coders, and administrators for their invaluable help in organizing and conducting the experiment. This research was supported by a grant from France’s “Programme d’Investissements d’Avenir” (ANRU/DSDP/D14-2780). Chesné, J. F., & Fischer, J. P. (2015). Ce que nous apportent les évaluations nationales sur les connaissances des élèves dans le domaine des nombres et du calcul à l’école primaire. http://www.cnesco.fr/wp-content/uploads/2015/11/Acquis-des-%C3%A9l%C3%A8ves.pdf. Accessed 5 Feb 2018. Kamii, C., & Dominick, A. (2009). The harmful effects of “carrying” and “borrowing” in grades 1–4. http://www.bradthiessen.com/html5/m340/11%20TheHarmfulEffectsof%3FCarrying%3Fand%3FBorrowing%3F(2009).pdf. Accessed 5 Feb 2018.